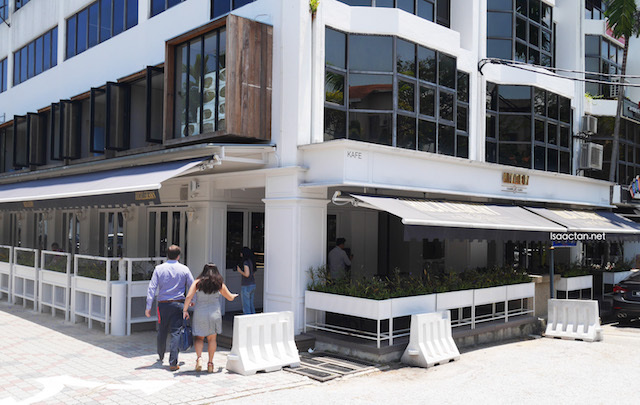 So I heard this cafe, Huckleberry Food & Fare @ Plaza Damansara, Damansara Heights has been a very popular spot for those looking for great coffee, bread, cakes, breakfast platter and other noms. 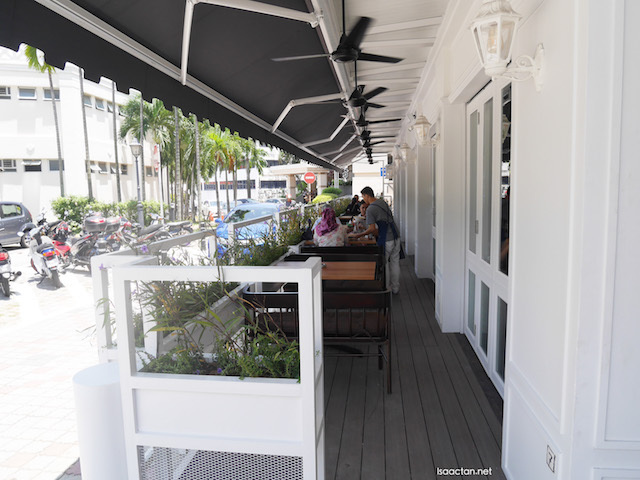 It was with delight then that we earmarked it for our CafeHoppingMalaysia must-visit place and dropped by the other day to taste their fares. 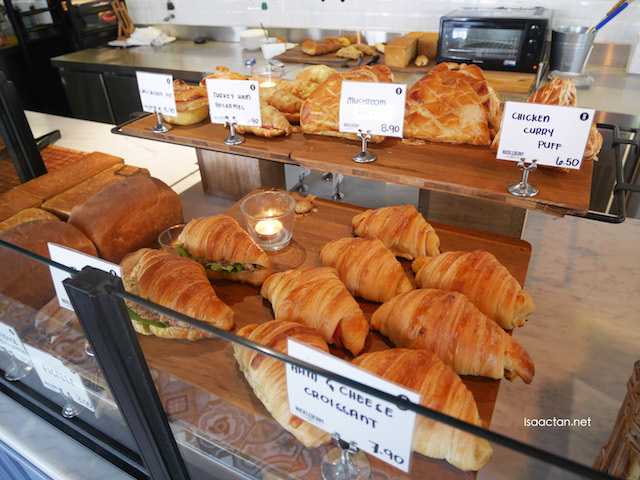 Other than the pastries an bread, did you know theys erve some rather nice savoury fares as well? 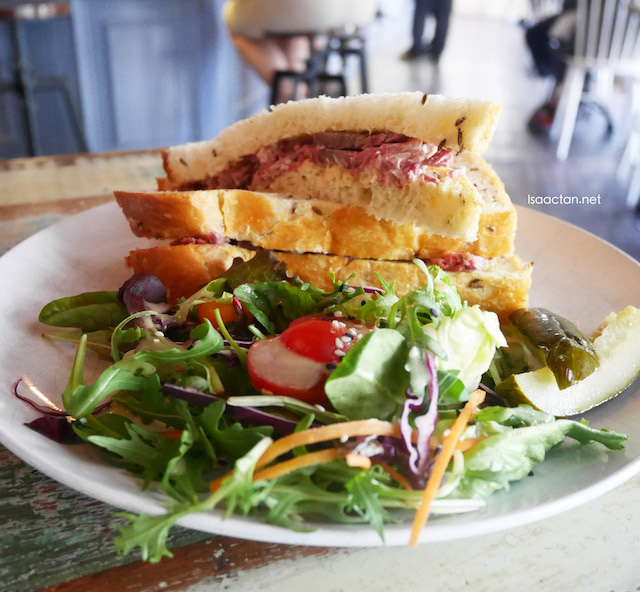 We tried some of their offerings from the mains and sandwiches menu. Check out below on what we had that afternoon. Been a while since my last French Toast, and what better way to enjoy it than have the one in Huckleberry Food & Fare. 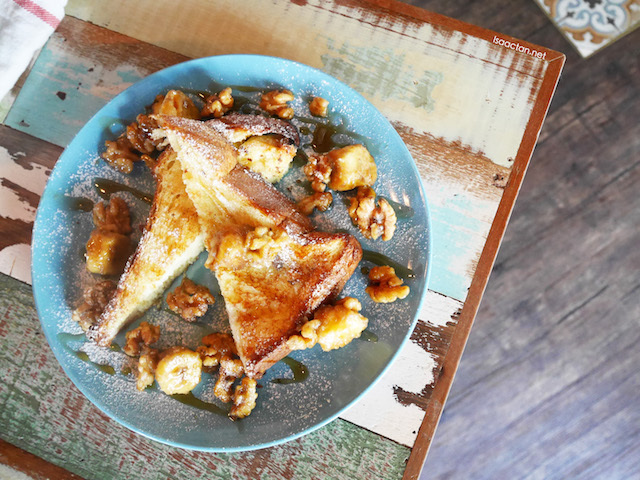 Complete with large bits of toasted walnuts, the Banana French Toast is one of the crowd favourites there. Thick slices of brioche is dipped in rich vanilla custard scented with nutmeg and cinnamon, cooked in butter. The fragrance alone had me salivating even before putting this into the mouth. Good stuff. One of the priciest sandwich I've had in a while, but I guess it's really worth the cents thrown in. Here we have a whopping 170gm of tasty, succulent salt beef with mustard sandwiched between the baker's special caraway bread. 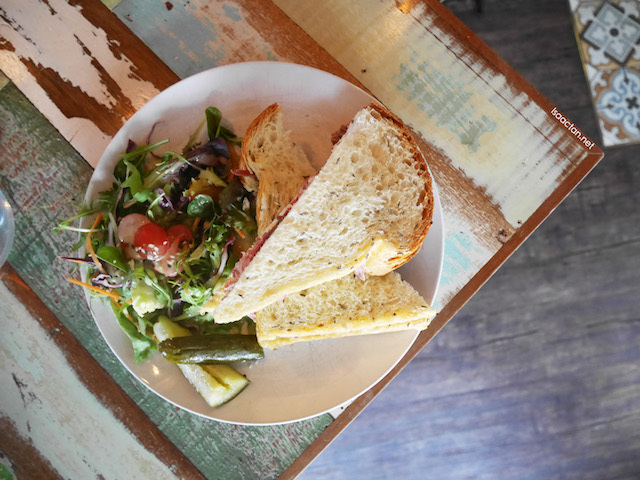 Huckleberry Food & Fare's House-made Salt Beef Sandwich is served with lots of greens on the side, a healthy offering indeed. As a meat lover, I do love how the salt beef is prepared, I even took some back for the family, and they loved it! Love these, sweet, crunchy, moist. 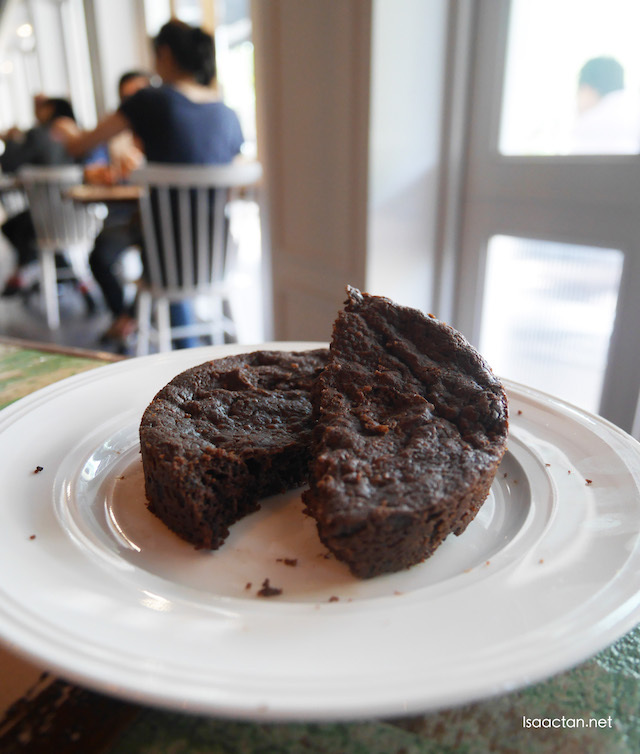 While there, we took the opportunity to try out their delectable cakes offerings as well. The bakery section is headed by Chef Christophe Gros, the master baker who has more than 20 years of experience. The cakes were oh so good, huge chunks of Macadamia found on the Macadamia Cheese Cake, and a refreshing taste of lime with coconut when trying their Coconut Lime Cake. Will definately be back to try out their famous danish pastries next round! 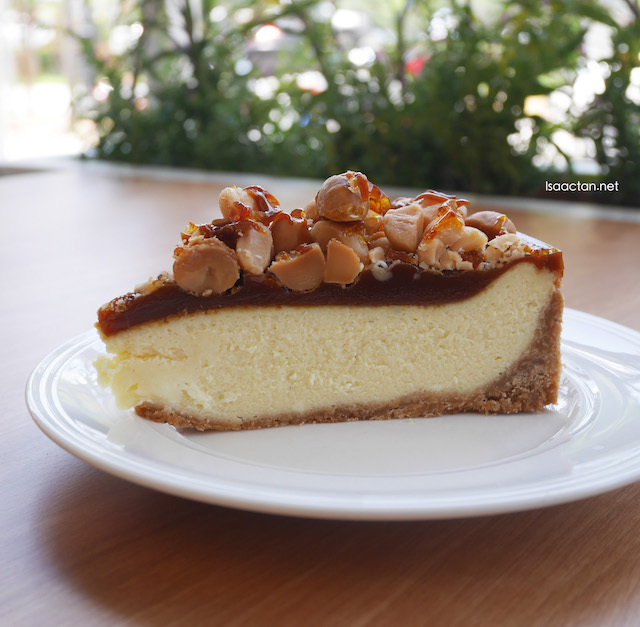 So the next time you're in the mood for some pretty nice dessert, bread, pastries, and noms, remember to drop by Huckleberry Food & Fare @ Plaza Damansara, Damansara Heights. 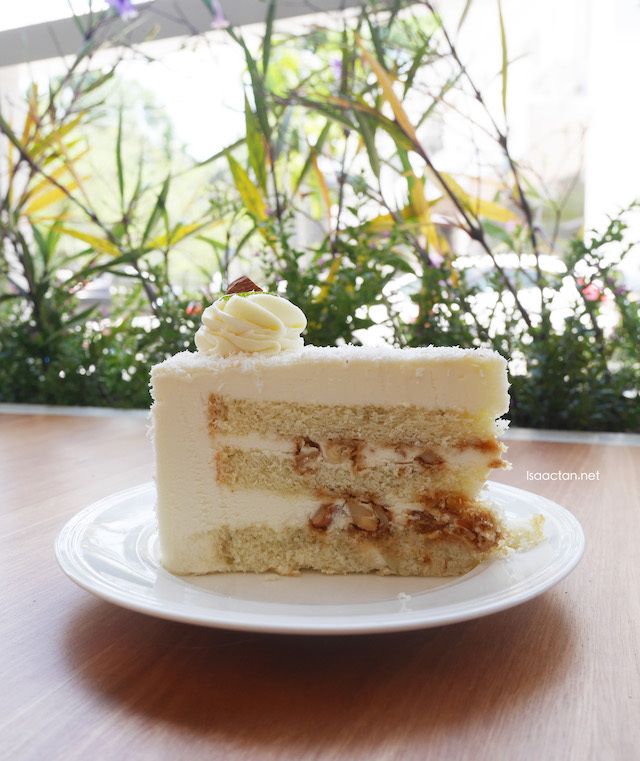 I can see the slice of cake full of macadamia on the top..nice cafe to explore. My! My!!!! I want the sandwiches!!! The ceiling picture is nice. Love those kinda mixed-up art stuffs. Cake price is a bitsy pricey but wouldn't mind trying this if I every drop by here with friends. wow..all dessert n cake look yummy!! wanna try their breakfast set later!! i drool over those cheese cake..
Drooling... The brownie..... And the banana French toast.. But quite pricey. Can try once in a while.. The food options look awesome. I am in love with the bright, fresh ambience too. Banana French Toast seems attracted to me! 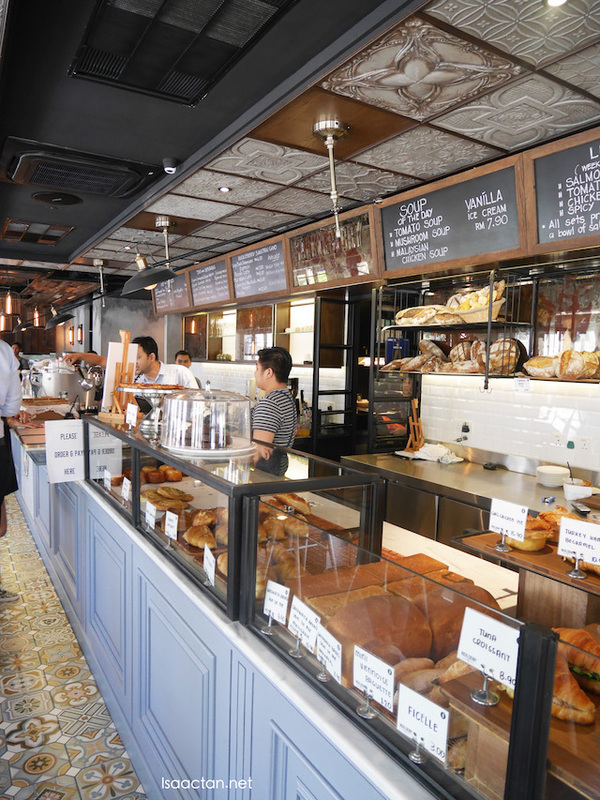 Will try all their yummy pastry when I am at Damansara Heights! It's been a while din eat together with Isaac gor. Banana French toast, Macadamia cheese cake are too yummy!! Nice post to make one hungry. Damansara Height looks awesome and a complete fun to explore the place and food. Pastry and desserts looks so good! But carbs are all evil! Their breakfast look tempting to me and the environment is comfortable. I love their service. Cannot write properly now - salivating all over the pictures of delicious cakes and pastries here. My favorite, Banana French Toast, craving for it now!